It is with a great sense of loss that we inform you of the death of Reverend Martin (Okwany) of Lira, Pastor and Overseer over a vast area for Church of God. He died, without warning, of a heart attack yesterday morning (Tues 7th Feb 2017). 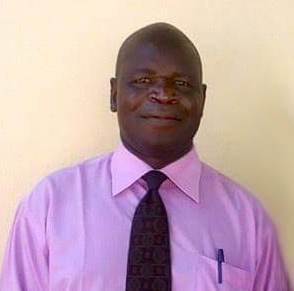 Pastor Martin did not have formal ties with Emmanuel International, to our knowledge, but he was a constant friend to successive generations of EI folk working in the North of Uganda. If ever there was a problem to solve around Lira he was the man we would call and we can never remember him saying ‘No’. Whether it was collecting transported documents, finding a car mechanic, offering hospitality or sourcing some particular item; he was always there and willing. He was completely trustworthy and never asked for any reward. His interest was in the Kingdom of God. It was probably in the time of the LRA insurgency that the friendship was forged, when EI withdrew from Acholi-land to Lira. When Anna Grindle and Myla were operating the ‘Why Wait’ programme in Lira district, they lodged in his house and were welcomed into his family. Mike and Marianne Botting, Tom Edom, Paul and Anita Bertrand, Terry Chemij, Curtis Legiehn and many others that preceded us counted him a trusted friend and wise counsellor. The man of God is now with his Lord and we rejoice at that. But we mourn the loss of a true, generous, godly friend that we already sadly miss. And we grieve with his wife Mildred and four children plus other dependents that are so suddenly left behind. Mike, Marianne and Tom are planning to attend the burial on Saturday in his home village near Lira.